From Breaker Morant's grave to the veldt of KwaZulu-Natal, Mark Chipperfield explores a nation's history through war. There is very little that's heroic about Heroes' Acre, Pretoria. Wedged behind the city bus depot and a steel fabrication plant, the bleak cemetery is a suitably purgatorial resting place for Australia's most celebrated war criminal, Breaker Morant. Just after 6am on February 27, 1902, Morant and his fellow Bushveldt Carbineer, Peter Handcock, were executed by a military firing squad at the old Pretoria jail. Their bodies were brought later to this patch of grass - already packed with the corpses of young British soldiers who had died in the Anglo-Boer War, a bloody andwasteful conflict then entering its final phase. Punished in life, the two men were to be humiliated in death. Despite their heroic exploits against Boer guerillas, the graves of Morant and Handcock were quarantined from the neat ranks of military headstones. For God and country ... (top) Edward Woodward in Breaker Morant; (bottom) a battle re-enactment between the Zulu and British. "Heroism is a very interesting term, my friend," says Joseph, a young Zimbabwean refugee who escorts me to Heroes' Acre from downtown Pretoria. "Heroes and villains have much in common, don't you think? Just consider my own president, Mr Robert Mugabe. They tell me he was once a great hero." Despite the renewed interest in the life and alleged crimes of Harry Harbord Morant - the British government is examining a petition from his descendants for a posthumous pardon - the bushman's grave is not easy to find. "Church Street Cemetery?" I ask, brandishing my tourist map at a group of young black men at a food kiosk on Schubert Street. They stare at me blankly. It seems only white heroes can find permanent accommodation under the haze of diesel fumes at Heroes' Acre. It's a long, hot walk from Church Square, one of Pretoria's many ugly monuments to Afrikaner triumphalism. Past supermarkets, tyre fitters and hairdressers, I find a band of white South Africans outside the residence of Paul Kruger, who died an exile in Europe refusing to accept British rule. When we finally reach it, Church Street Cemetery seems closed permanently. The main gates are heavily padlocked but Joseph points me towards a side entrance before heading off to his squatter camp. For a few minutes I walk along a pathway, searching aimlessly for the grave of lieutenants Morant and Handcock. Then I meet Nelson, one of the cemetery's gardeners. "Australian?" he asks softly. "I will take you." A man of few words, Nelson tells me that many Australians come to the cemetery to visit Morant's grave. 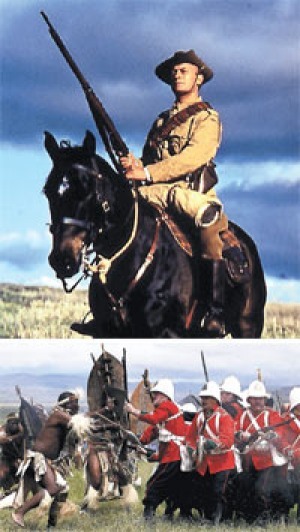 Perhaps, like others, I'm drawn here by Edward Woodward's stylish portrayal of Morant in the 1980 Bruce Beresford film that, along with Kit Denton's novel, spawned the myth of Breaker Morant, the romantic Aussie anti-hero (he was English, incidentally) who became a "scapegoat of the Empire" at the hands of the commander-in-chief of British forces in South Africa, Lord Kitchener. Although Morant's famous last words - "Shoot straight you bastards! Don't make a mess of it!" - echo in my head, I have to keep reminding myself that, like most things about this likeable rogue, these words are purely fictional; one layer in a comforting myth of the stout-hearted Digger betrayed by fate. After taking a few photographs of the unsmiling Nelson at the graveside, I slip a 20 rand ($3) note into his hand, assuming he will return to work. But the impromptu cemetery tour has just begun. "Follow me, I must show you something," he says, without emotion. Only then does it really hit me that we are standing in an ocean of death, tide after tide of military headstones sweeping from one end of the cemetery to the other - men from west country villages, the Scottish Highlands and the Kentish coast; carefully interred according to rank and regiment. Some, like the men of the South Staffordshire Regiment, are buried in mass graves, together with their wives and children. Most lie in anonymous graves, with the simple inscription: "For King & Empire Here Lies a British Soldier." "So many graves here. Just look," says Nelson matter-of-factly. "And all of them young men in their 20s and very far from home - come with me and I will show you the Dutch." After the military precision of the British war graves, the Boer section seems friendlier and more personal. And much smaller. Beyond the military graves, however, lies a type of Afrikaner inner sanctum, the aforementioned Heroes' Acre, where the champions of the old white republics - Louis Botha, Andries Pretorius, Hendrik Verwoerd and Paul Kruger - are entombed. Nelson stands silent before the black marbled obelisk dedicated to Verwoerd, the former prime minister of South Africa who was the architect of some of apartheid's most hated policies, such as the pass laws and the group areas act. He was stabbed to death in 1966. "Every year they come," he whispers to me. "Many people come here. With torches, early in the morning when it is still dark." Sixteen years after white minority rule ended in South Africa, I find the image of a torch-lit parade staged by apartheid's true believers macabre but not entirely surprising. Even in today's calm and tolerant Rainbow Nation, the past has a nasty habit of re-asserting itself. Chaotic, noisy and defiantly African, Pretoria (contained within the City of Tshwane Metropolitan Municipality) is not exactly a magnet for international tourists but does offer a wonderful insight into the Afrikaner mindset. Apart from Kruger House, the city contains the monolithic Voortekker Monument, the Italianate Palace of Justice and the Irene concentration camp, where some 5000 Boer women and children were interred by the British; more than 1200 died here. Pretoria also makes a natural starting point for those keen to retrace Breaker Morant's wartime exploits. His unit of irregulars, the Bushveldt Carbineers, was based in Pietersburg, about 290 kilometres north. Morant spent much of his time in the Strydpoort district in the Transvaal. All of these places still exist, although Pietersburg is now called Polokwane on road maps. My journey, however, takes me south and east into the wilds of KwaZulu-Natal and some of the most celebrated landmarks of the Boer War: Ladysmith, Spioenkop, Talana and Colenso. KwaZulu-Natal was also the setting for some of the most fearsome encounters between the Europeans and the Zulu in the 19th century. For anyone raised on tales of imperial derring-do, names such as Rorke's Drift, Intombe and Isandlwana still resonate. To reach the battlefields zone, the history buff first needs to tackle the fearsomely quick N3 motorway that links Johannesburg and Durban. Traffic delays around Pretoria (and too much time spent at the cemetery) mean that it is early evening before I reach the outskirts of Johannesburg. Against all advice I drive in South Africa at night but the rolling expanse of the veldt has me mesmerised. After a night in Clarens, on the edge of the Drakensberg Mountains, I resumemy battlefields tour in the country town of Ladysmith. Famous for withstanding a 118-day siege by the Boers, Ladysmith is far from the quaint colonial outpost of my imagination - but it does make a handy base for visiting nearby Spioenkop, the scene of a bloody encounter between British troops and Boers in 1900, where the wounded were carried to safety by Indian stretcher bearers led by Mahatma Gandhi. From Ladysmith I drive deep into the farmlands around Glencoe and Dundee, rich with cornfields, pasture and cattle. Both places retain much of their grand pre-war architecture and a distinctly frontier atmosphere. Just outside Dundee, on a hill beside the main road, is Talana Heritage Park and Battlefield, where Boer commandos surprised the British garrison early on October 20, 1899. General Symons, the British commander, was about to sit down for breakfast when the first shells landed. "Damned impudence," he remarked. Smit's Farm, where much of the fighting took place, is still here. Visitors can wander through the old farmhouse and outbuildings packed with jigs and farm machinery, or stop for a moment's reflection at the tiny cemetery where men from the Royal Irish Fusiliers and the King's Royal Rifles are buried. My guidebook makes the drive to Rorke's Drift sound straightforward, almost mundane. It isn't. Not only is there no signposting from Dundee but most of the journey is over heavily rutted dirt road - in places the track is washed out. But the magnificent veldt burning under a cloudless sky is simply magical. Out of this apparently human-free landscape loom villagerswaving from the shade of thorn trees and school children in impeccable white shirtswalking single file towards mud-baked villages. As I drive I imagine the noise and dust created by a column of British soldiers, marching towards Isandlwana, where they were virtually annihilated by a 20,000-strong Zulu army. After the grandeur of the plains, Rorke's Drift (or Shiyane as the locals call it) seems ridiculously modest - just a couple of low-slung cottages, a church, a school and a dusty parking lot outside the Rorke's Drift Cafe. Immortalised in the 1964 film Zulu, starring Michael Caine, the defence of Rorke's Drift by a handful of soldiers - some of them already wounded - has become a byword for military heroism; 11 Victoria Crosses were awarded to the defenders. Housed in the old storehouse, the main display is wonderfully low-tech, consisting of some explanatory panels and a few life-size reenactments, showing whiskered British infantrymen trying to resist wave after wave of Zulu warriors armed with assegais and cowskin shields. Other rooms contain bandaged and bloodied mannequins, still clutching their rifles and the tiniest shred of hope that they would survive the carnage. The site, which is largely as it was in 1879, is today a place of pilgrimage for the descendants of those who fought and died here. There are fresh flowers at the modest, walled memorial and, defying the tide of history, even a small Union Flag. Today, it is difficult to understand what drove so many young men to leave their homes in Britain, Ireland, Australia, New Zealand and elsewhere to fight and die in the wilds of South Africa. The compelling political reasons now seem ludicrous, unworthy or simply avoidable, though the same can be said for most wars. But driving across the vast swathe of KwaZulu-Natal with its veldt, wild rivers, shambolic market towns and hard, dry mountain ranges, the visitor perhaps understands a little more about this complex, turbulent, history-bound nation. Mark Chipperfield travelled courtesy of V Australia and South African Tourism. 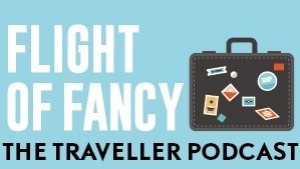 Getting there V Australia flies to Johannesburg non-stop fromMelbourne (14hr 45min) for about $1290; Sydney passengers fly Virgin Blue to Melbourne to connect and pay about the same. Qantas flies non-stop fromSydney while South African Airlines flies non-stop from Perth and both have fares from Melbourne and Sydney. Fares are lowseason return including tax. 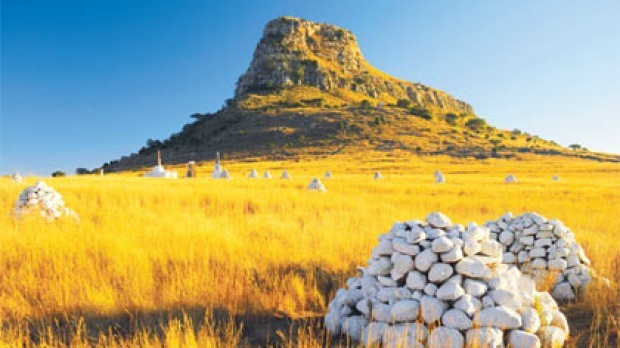 Touring there Most Zulu and BoerWar sites - known locally as battlefields - are in KwaZulu-Natal province. Breaker Morant's grave is in Pretoria, 60 kilometres north of Johannesburg. While it is possible to take long-distance Greyhound buses, hiring a rental car from OR Tambo International Airport in Johannesburg is the obvious solution. Roads are generally good in South Africa and well maintained. Useful information on the Battlefields Route is available at battlefields.kzn.org.za. A detailed road map is essential. Staying there The Court Classique is a boutique hotel in Pretoria's diplomatic quarter. The hotel has a restaurant, wine cellar and plunge pool, and complimentary transfers into the city. Suites from 1550 rand ($235) a night; see courtclassique.co.za. An English-style pub with BoerWar memorabilia in Dundee, Royal Country Inn is an obvious stepping-off point for Rorke's Drift and other battle sites; double rooms from 700 rand , including breakfast; see www.royalcountryinn.com. Hotel Izulu in the town of Ballito, just north of Durban, is an excellent place to end a battlefields tour. The five-star hotel is close to a surf beach. Suites from 2660 rand a night; see www.hotelizulu.com.